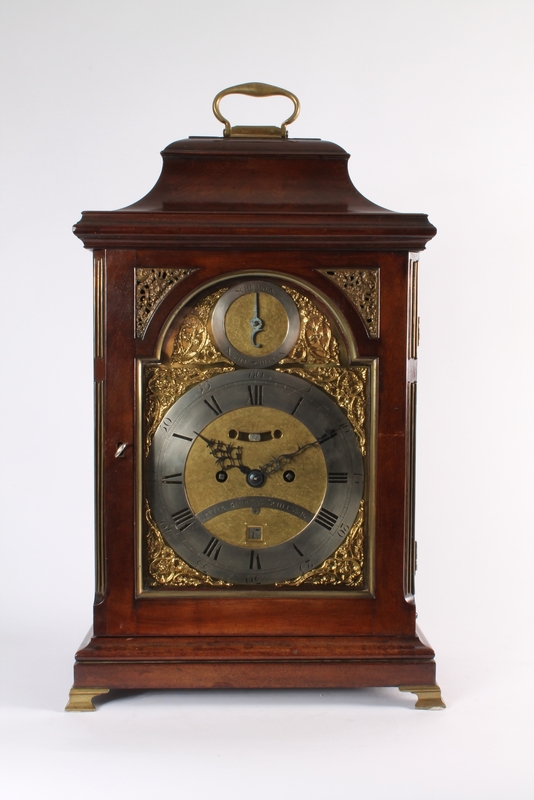 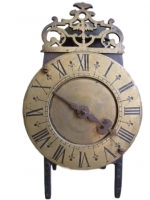 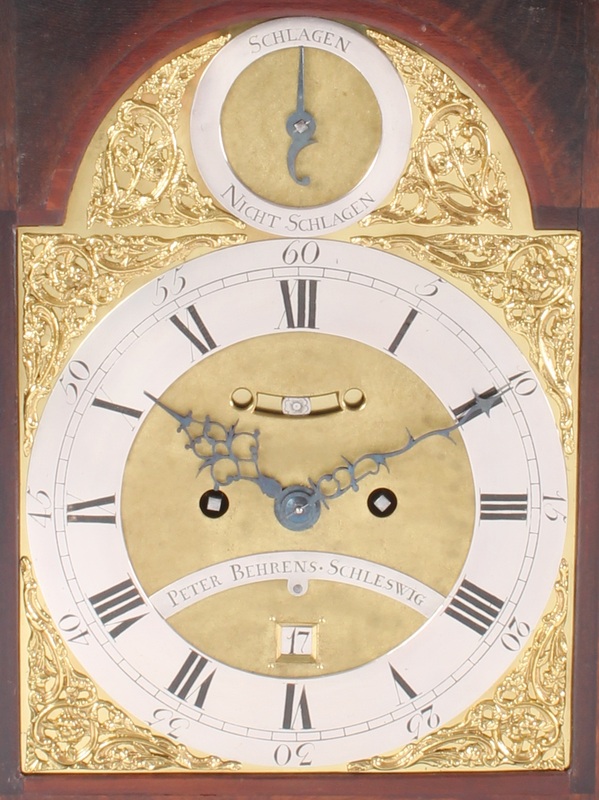 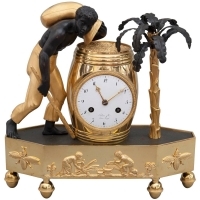 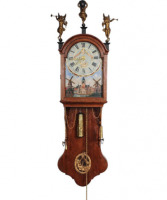 A rare German mahogany table clock of 8-day duration by Peter Behrens Schleswig, circa 1770. 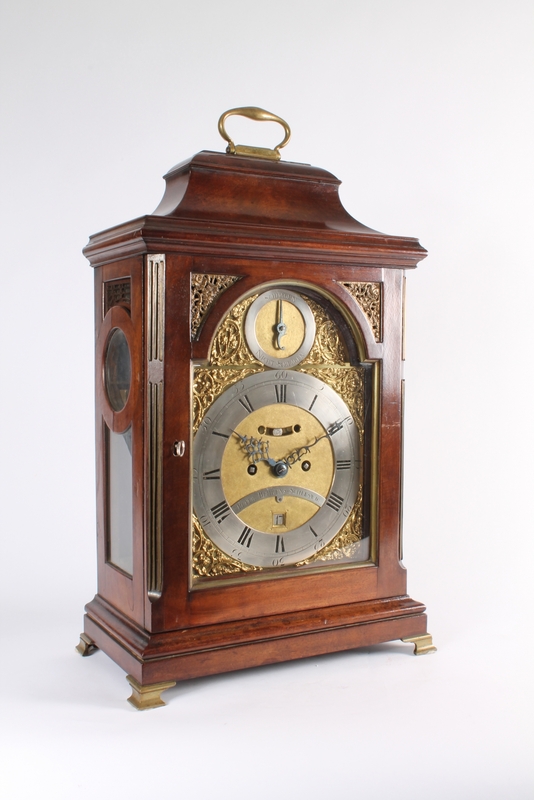 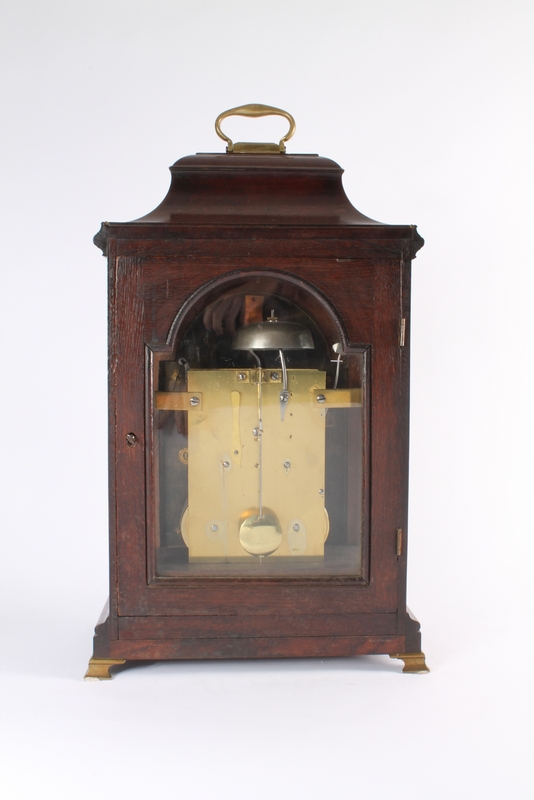 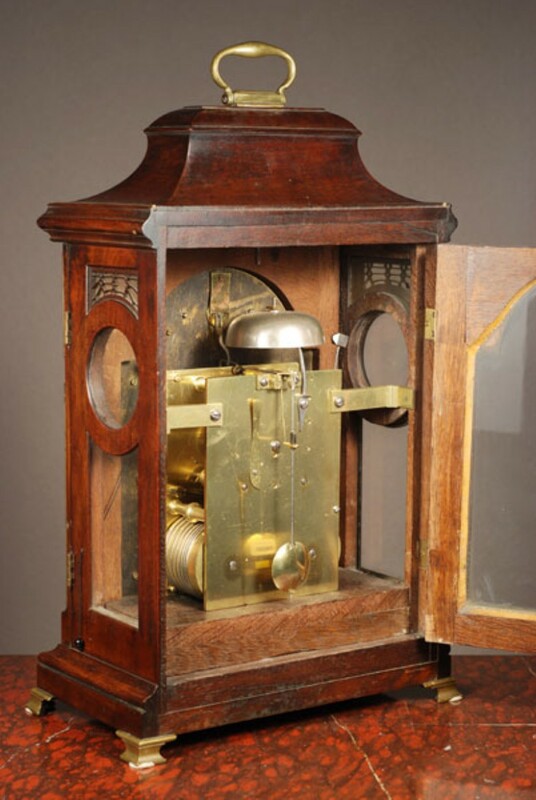 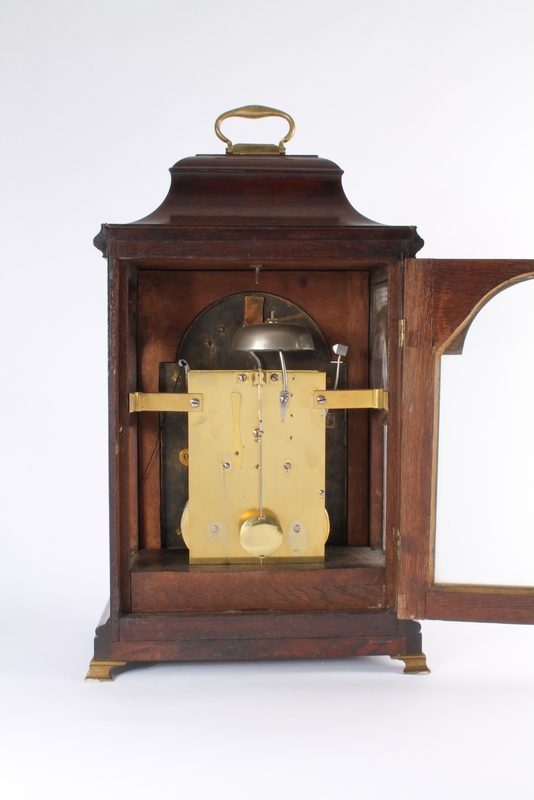 8-day fusee movement with verge escapement and rack hour striking on a bell, mahogany case. 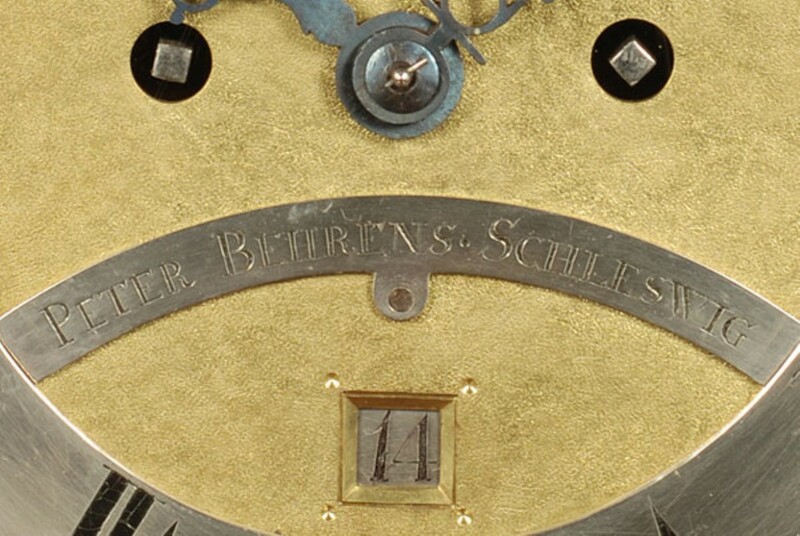 20-cm arched matted brass dial, engraved silvered chapter ring with Roman numerals, foliate pierced blued hands, engraved signature plate Peter Behrens Schleswig, apertures for date and mock pendulum, rococo spandrels and a subsidiary for strike/silent in the arch, five pillar fusee movement with verge escapement and silk suspended pendulum, trip repeating rack striking on a bell, mahogany case with bell top surmounted by a carrying handle, the hinged door with brass rococo spandrels and breakarch brass lined glazed panel, pierced frets over glazed sides, the moulded plinth raised on brass bracket feet.